Want to Build Last Minute Delivery Booking apps like GoGo Van or Lalamove? Digitalization has caused a revolution in the logistics industry as well. As a tech startup or enterprise, you might like to consider an idea of making a GoGoVan clone app for your last-minute delivery booking services. The success of GOGOVAN and Lalamove has undoubtedly proved the potential of this app and how it can help your business grow. Both these startups are valued at $1billion and they are called the unicorns of the industry. What is a Last-minute Delivery app? The last-minute delivery booking app allows its users to deliver things right from courier and food to heavy item. The app connects individuals and huge businesses to a large number of drivers for their logistics needs. The app is like an on-demand delivery booking app that provides delivery services quickly and efficiently for your items. 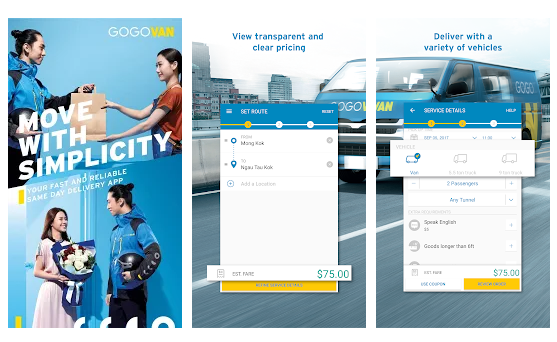 The company GoGoVan is the first app-based platform for delivering goods in Asia. It was established in the year 2013. The company is dedicated to offering outstanding service with the help of innovative technology. 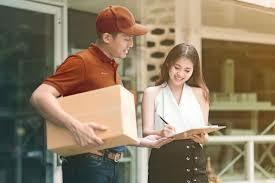 It is a platform which connects people to thousands of drivers to fulfil their real-time delivery needs. GoGoVan commits to redefine the everyday delivery experience by providing appropriate and systematic services. The services of GoGoVan are currently available in Hong Kong, Singapore, South Korea, Mainland China, Taiwan, and India. They are still expanding globally. In 2017, the company GoGoVan merged with 58 Suyun which is called the leader in China’s intra-city logistics market. This merger increased GoGoVan’s presence in 300 more cities and brought 8 million more registered drivers in its network. » Set the route and choose your service or vehicle type. » You can match with the driver and track your delivery. » After receiving the Goods, sign off the packages and rate the service. » HASSLE-FREE BOOKING – You can book a professional delivery service using the app in just a few minutes. » DIVERSE SERVICE – You can ask for on-demand, 4-hours, and same day delivery service to cater your needs. » TRANSPARENT PRICING – Get transparent pricing right after choosing destinations and vehicle or service. » INSTANT MATCHING – You can match your order quickly with the nearest available driver and delivery partner. » REAL-TIME TRACKING – You can track and trace the location of your goods and the vehicle carrying them. » DRIVER RATING – This feature ensures you to have reliable and consistent service. » ORDER RECORD – You can manage and access your past orders through the app. » GOGOVAN now supports the Faster Payment System (FPS) in Hong Kong. It was previously known as EasyVan. Lalamove was launched with an aim to provide van hire. It was started in Hong Kong in December 2013. It is currently available in 100+ cities in China and Southeast Asia. Lalamove has more than 15,000,000 registered customers with a pool of 2,000,000 drivers of vans, trucks, and motorcycles. Lalamove has streamlined the process of matching customers and drivers within 12 seconds with the help of call centers. They promise to fulfil the local deliveries within 55 minutes. They have also optimized the routes and drivers fleet for their maximized earnings. Lalamove also provides some excellent APIs for business owners to integrate with their platform. 1. The Lalamove app enables the users to choose from van, truck or motorcycle. The app also enables courier services, bulk deliveries, and food items etc. 2. The users can set up a pickup and drop off locations. You can even enter the exact pickup and delivery times. 3. It is fast, secure and on-demand. 4. The app enables real-time tracking orders. 5. The e-wallet option enables a user to go cashless and get the deliveries conveniently. 6. E-signature is proof of delivery so you can relax and be assured regarding the deliveries. 7. Online payments are available to top-up your e-wallet, the app also allows using credit cards and bank transfers for payments. 8. The nearest driver receives your order within seconds. 9. Vehicles for every situation available including van, trucks, lorries, motorcycles etc. 10. Additional services like pet shuttle, help buy, cash on delivery, hourly rental, house moving assistance are also enabled with Lalamove. The apps like GoGoVan and Lalamove are like Uber for logistics. They are the need of time to fill the gaps in the logistics business. There is an all-time high demand for Uber for logistics in the market. By building such apps, you make it easier for your customers to get a solution to their logistics needs at the top of their fingers. It also lets your business grow by simplifying your daily work and enhancing your sales. The app also provides an opportunity for your drivers to optimize the earning, in turn, resulting in better business for you. At Coruscate, we have developed above 100+ on-demand app and 50+ Uber for logistics app. We can help you with building your GoGoVan clone app with out of the box features and an amazing user interface. We have a dedicated team of researchers who are busy with finding the new scope of such app and new features to make your app stand out in the market. For more details, you can connect with us through the contact us form. We provide a free consultation to validate your ideas.